CFM International has, since 2007, incorporated tech insertion features in their CFM56-7 engine range. The system upgrade to the engine includes redesign to the HP Compressor and HP Turbine modules and therefore requires new balancing tools. HPConsulting Services have designed and supplied HP Compressor and HP Turbine balance arbors for the new, improved, engine variant. 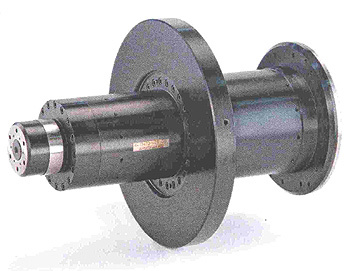 The HP Compressor rotor is balanced with the CDP Seal "in-situ". The seal is held in place with dual purpose hardware which also attaches the rotor to the balance arbor and utilises the fixed bolts in the engine. Both tools are supplied in wooden storage trolleys which, in the case of the HP Turbine rotor, serve as support during assembly. The HP Turbine balancing arbor is designed with similar journal sizes to the HP Compressor arbor which keeps the balancing machine set-up similar for both rotors thus reducing process time. The equipment supplied includes special "tail-driven" hardware to attach the rotor to the balance arbor which removes the need for special slab head engine bolts for balancing thus simplifying the balancing process. The rotor and arbor assembly is supported in the balancing machine, between the seals, on the aft end of the HP Turbine stub shaft. A special set of narrow rollers can be supplied for this purpose. HPConsulting Services are proud to supply tools produced to the highest quality. 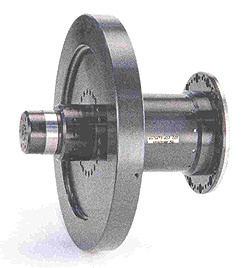 The journals and snap diameters of the tech insertion balance tooling are precision machined and made from hardened alloy steel. This is required to achieve the demanding tolerances the balancing requires.